Dealing with poop is one of the most unpleasant parts of dog ownership. It comes with the territory of having a canine companion and is something that owners just have to get used to. Luckily, most dogs can pick up house training without any major problems. Aside from a few accidents in the early training stages, most owners can keep the mess and smell outside of the home. But what happens if your dog starts to poop in the house again after years of good habits? It's something that most people don't think about until they come home one day with a major mess to clean up. There are a number of reasons why your dog may start to relieve themselves inside the home. While it may be frustrating, it's important that you take the time to understand why. By getting to the root cause of the problem, you can take steps to get your pup help, retrain good habits, and keep your home clean. Why Is My Dog Pooping Inside? 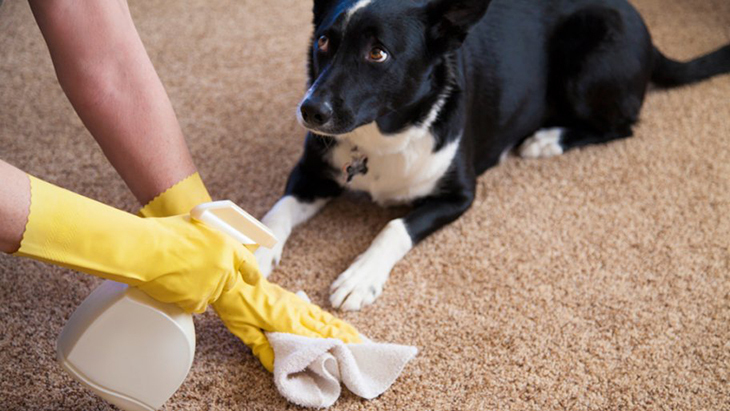 The first thing you need to do after cleaning up the mess is to determine why your dog is experiencing these problems. In most cases, there's an underlying cause that's affecting your dog. It could be something that's affecting the way they control their bowels or it could be something that is affecting them mentally. Keep an eye on your dog and monitor their behavior. You might notice subtle changes in their demeanor that you didn't see before. You can use this accident to provide your dog with the attention and care that they require. Your pup's health could be causing them to have accidents. Medical issues can plague dogs of any size, breed, and age. Dogs are unable to communicate what they're feeling like humans can, so you need to be aware of your dog's health condition throughout their lives. Accidents can be a symptom of many different issues. Health problems don't even have to be related to their bowels or gastrointestinal tract to result in accidents. One overlooked ailment is joint issues. Large breeds can experience arthritis and hip dysplasia at a young age. Pain in their bones and joints can prevent them from walking comfortably. As a result, many dogs avoid moving too much. This includes going outside to relieve themselves. Other medical problems that could affect their bowel movements include kidney disease, bladder stones, diabetes, and so much more. If your pooch is on any medications, they may even be experiencing some unwanted side effects. In some cases, something as temporary as diarrhea may be the culprit. The only way to know for sure is to take your dog to a professional veterinarian as soon as possible. You'll have the opportunity to talk about the accidents in detail. Your vet can then perform various tests to diagnose the problem and find a solution that can provide your dog with some assistance. If your dog is in his or her senior years, they may have a harder time controlling their bowels altogether. This is an unfortunate issue that can plague any living creature. As the muscles get weaker, it gets more difficult for dogs to hold it in like they would as a younger dog. This can prove to be problematic if you're not able to spend most of the day at home. Senior dogs can also suffer from a form of canine Alzheimer's disease. It affects their memory. They may forget the training that you taught them. Not only that, but they may forget their surroundings. This will cause them to be scared and confused, resulting in accidents. Dogs are very susceptible to stress. They're not able to effectively manage their emotions like humans do. Accidents are bound to happen when your dog is experiencing stress and anxiety. Dogs tend to hide their emotions when something is wrong. It's their natural instinct to cover it up. Unfortunately, this can make it difficult to notice the signs of stress before its too late. There are many outside factors that can cause stress. Changes in their lifestyle and surroundings can have a huge effect on their behavior. It's not uncommon for dogs to have a couple of accidents when they move into a new home or when a new member of the family is introduced. If a companion dog or human family member has recently passed, dogs can even get depressed. 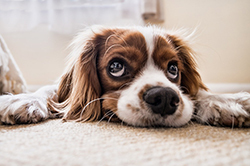 For particularly sensitive dogs, something as small as moving your furniture around can trigger some emotional problems. When dogs are stressed, they tend to react impulsively. They may be more distant and have frequent accidents throughout the home. Often times, dogs will go to a place that smells familiar to poop. If your dog had accidents before, they'll almost always return to that same spot and repeat the process. To combat this problem, you'll need to clean up accidents effectively and address the stressor directly. Behavioral problems can be connected to stress. However, it also involves feelings of boredom. Dogs need constant stimulation. They need to be able to exercise and have some mental challenges to keep them happy. When dogs are deprived of stimulation, they may start to act up. Behavioral issues can lead to excessive chewing, digging through trash, and pooping wherever they please. The key to overcoming poop problems is to take care of the underlying cause. In most cases, this will put an end to unwanted accidents. With that being said, you may also have to do a bit of behavioral modification. The goal is to prevent accidents and develop new habits. Whether you're dealing with a new puppy or one that you've had for many years, these training methods can be an effective way to stop inside pooping. Ideally, you want your dog to poop outside. However, you may have to start small and work your way there. If your dog doesn't go back to pooping outside immediately, the best thing you can do is to control where they poop inside. Puppy pads are a great place to start. You can set the pad up next to the door and guide your dog in the right direction whenever you see them sniffing around. Many pads are scented to attract dogs. The scent is undetectable to humans but very enticing to dogs. As your furry friend gets used to going on the pad, you can slowly move it outdoors. Eventually, your dog will get the message that they need to do their business where you want them to. Of course, offer plenty of praise and treats to cement their skills. If the pooping issue stems from stress or boredom, that particular problems need to be dealt with first. The best way to deal with stress or depression is to shower your pooch with all the love they need. You should also provide them with plenty of opportunities to get exercise. Physical activity can distract them from their emotions. Take them on more walks and spend a little bit of extra time playing outside. 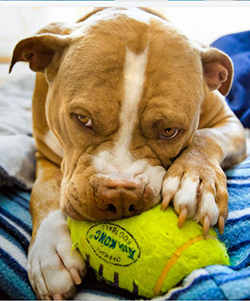 This will strengthen your bond and help your dog get back to their playful self in no time. If you're going to work or plan on leaving the house for an extended period of time, you should provide your dog with something that can keep them entertained. There's a wide variety of mental stimulation toys out there. These toys contain hidden treats that require chewing or rolling to get to. They can keep your pup entertained for hours on end. This will prevent accidents in your home and will make your dog smarter in the long run. Verbal cues can be used to let your dog know what is right and wrong. 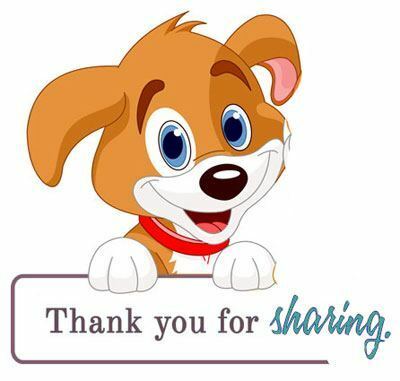 Dogs are fully capable of understanding simple phrases with the right training. Even older dogs can learn the skills they need to be successful. Every single time you bring your dog outside, say the same verbal command. Something as simple as "outside," will suffice. Over time, that cue will indicate that it's time to go do the deed. They may even start to head towards the door when they have the urge to relieve themselves. You can take this a step further by implementing another cue once they're in the designated pooping area. By saying something like "potty," your dog will know that it's safe to poop. With plenty of praise, these cues will be associated with pooping outside. Getting over an accident problem will require you to keep a close eye on your dog at all times. You'll need to prevent future accidents from occurring inside your home. The more times they can poop inside, the more they'll feel that its the right thing to do. You need to circumvent this by taking your dog out whenever they start to show signs that they're about to poop. This includes sniffing around and walking in circles. If you're unable to stay home all day, it may be a good idea to hire a dog sitter to watch them. It's important that your sitter uses the same verbal commands and training techniques as you do so that your dog doesn't get confused. Sometimes, you just have to reinforce your past training methods. Dogs can lose track of the skills they learned as a younger puppy. This is especially true if the methods weren't strongly enforced or if they were exposed to another owner's techniques. To get your dog back on track, you'll need to dedicate some time for additional training. It's important that you use the same methods as before to avoid any further confusion. If you used crate training, take the crate back out and place their bed inside. Crates can be used to confine your pet when you're not home. The crate should be large enough to hold your dog comfortably. However, there shouldn't be any excess room. Crate training is only effective if there's not enough room to poop inside. When you get home, take them out to the pooping spot and provide a reward. Your dog should be able to pick up the training a bit faster the second time around. You'll be able to decrease the confinement time and let your dog out for longer periods of time over the course of a couple weeks. Once they've stopped pooping inside, keep your training methods up to ensure that they never lose the skills again. Accidents happen, but you should never let them go unchallenged. If your dog poops in your home, you need to take the steps to address the problem and correct the behavior. This will help keep your home poop-free and ensure that your dog is reaching their full potential.